The U.S. has substantially expanded its sanctions against individuals and entities, including sectoral sanctions, related to the crisis in Ukraine, the U.S. Treasury Department's Office of Foreign Assets Control said in a press release on Dec. 22. The companies and banks added to the SDN list, including those operating in Crimea or related to individuals and entities already on the list, include Genbank, Krayinvestbank, Inresbank, Mosoblbank, Tekhnopromexport and Volgogradneftemash, among others. 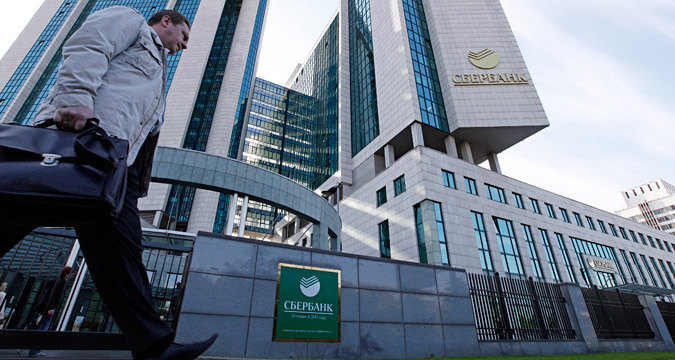 Those added to the sectoral list, which face less stringent restrictions, include subsidiaries of Sberbank of Russia, VTB and Rostec, including VTB 24, Sberbank Europe AG and Yandex.Money. Russia will symmetrically respond to the expansion of American sanctions, Russian Minister of Economic Development Alexei Ulyukayev said. "I believe that a symmetrical response in such cases is a usual practice," he told journalists on Dec. 23. Russian economist and professor at the Russian Presidential Academy of National Economy and Public Administration Sergei Khestanov says that the expansion of U.S. sanctions against Russia is probably just of a formal nature. "The aim is to close the various opportunities for formally bypassing the sanctions. In terms of impact on the banking system, no significant consequences are expected," explained Khestanov. In his view, this way the U.S. is demonstrating its decisive approach. It is the first time that Yandex.Money, a Russian electronic payment service, has been included on the sanctions list. This way the U.S. government is formally closing the opportunity of making transactions from Russia to the U.S. using this system. However, in Khestanov's opinion, the service's users should not expect any major consequences. "The rather large volumes of money transferred to the U.S. via Yandex.Money are not monitored. Most users will not be affected," he said.